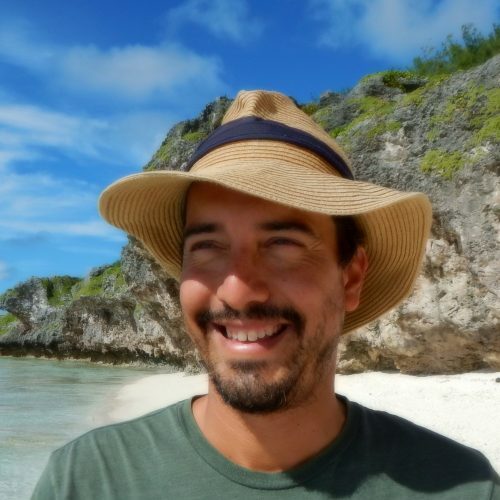 Luis is a Research Fellow with the Interdisciplinary Conservation Science Research Group at RMIT University. He is a Research Fellow with the Interdisciplinary Conservation Science Research Group (ICON Science) at RMIT University and an Associate Member of the Australian Research Council Centre of Excellence for Environmental Decisions (CEED). Luis is an ecologist with a keen interest in insects, conservation science, urban biodiversity, quantitative methods, citizen science and nature photography. He works as part of the Clean Air and Urban Landscapes Hub (CAUL) of the Australian Government’s National Environmental Science Program, where he co-leads a research project that aims to understand, quantify and qualify the multiple social, cultural and ecological benefits of urban greening actions using multidisciplinary methods in a ‘Network of Integrated Study Sites’. As part of CAUL, he is particularly interested in exploring how to bring nature back into cities, and in developing decision-making protocols to evaluate which species would be best suited to bring back. He is also keen to raise awareness of the importance of beneficial insects in urban environments. To this purpose, he is exploring the idea of ‘Pollinator Observatories’, in which plant-insect pollinator interactions are recorded by both academic and citizen scientists. Luis is also involved in developing a photo-preference survey to identify charismatic animal species though an online ‘Public Elicitation’ platform. Luis is the lead researcher of The Little Things that Run The City and Our City’s Little Gems, where he and his colleagues are studying plant-insect interactions and insect-habitat associations across the City of Melbourne. The projects seek to communicate the value of urban nature, as exemplified by our recently published children’s book ‘The Little Things that Run the City – 30 amazing insect that live in Melbourne‘. Luis enjoys discovering and learning from nature through photography, and is convince that capturing aesthetically pleasing images of living beings is probably one of the best ways to bring art and science together. Since 2008, he has been posting photos to his flick photostream. More information on Luis’s past and current research can be found on his research blog.